It looks like America in general is as ready for this new 2015 Jeep Renegade as we are. Ever since it was first announced for the U.S. the new 2015 Jeep Renegade has been stirring up a buzz. We’re getting pretty close to the release of these things out in the wild now so let’s start talking the numbers that I’m sure you’re here to find. At first the 2015 Jeep Renegade was slated to be released in the first quarter of 2015. However, as the date approaches it seems like Jeep is more comfortable putting information out there that the Renegade should be available and in dealerships in January of 2015. I can tell you right now we here at Waynesville Chrysler Dodge Jeep Ram and Hendersonville Chrysler Dodge Jeep Ram have our fingers crossed. If you haven’t had a chance to check out Brianna’s reasons she’s looking forward to getting one than you can check that out here. We haven’t officially got any of these bad boys in yet so we cannot give you a very accurate figure here. Instead, we’ll have to go ahead and pick up clues around the internet from Chrysler and some of it’s partners. Looking at what segment it’s going to be competing in will give us a good starting point to gauge how believable any price figures we arrive at may be. The official segment that the Renegade fits in is currently labelled the “small SUV” segment. They are also casually referred to by some as “city utes” (think “utilitys” as in “Sport Utility” here). This rapidly emerging segment includes the Fiat 500X, Honda HR-V, and the Mazda CX-3 with Hyundai also planning to enter the market with the announced 2017 IX25. These vehicles are already very popular in Europe and are on their way to domestic soil. While we could use the data available for the sales figures overseas we choose not to as converting currency to try to determine the price of a vehicle has never been even remotely accurate. We do know that vehicles as a whole are usually a lot less expensive in American markets. As such we’re only comfortable quoting what USA Today has posted from Chrysler at the LA Auto Show. As officially as we can currently get: the 2015 Jeep Renegade is expected to start “well below $20,000”. The article even goes so far as to say that even all-wheel drive models should still start under the $20,000 mark. While this isn’t 100% accurate, we can tell you that we’re very excited to be able to offer such a capable vehicle at such an affordable price range! As we’ve already stated, this is not 100% accurate yet, however with the release looming right around the corner we feel confident that we will have the true market figures and release dates very shortly. 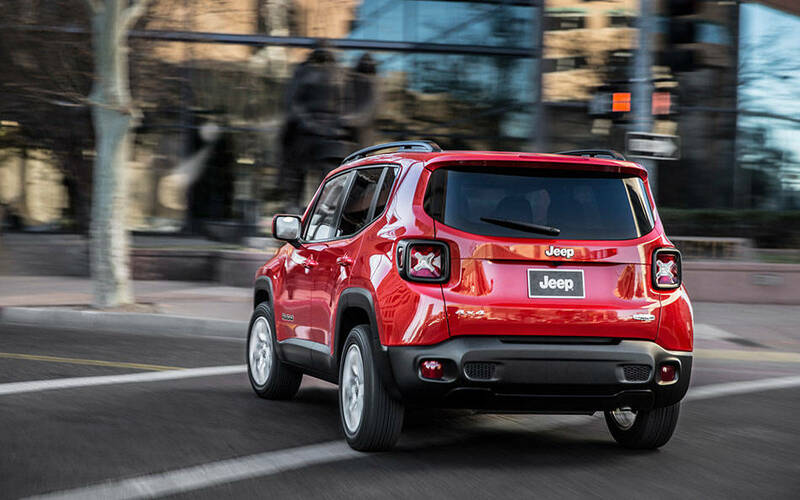 Stay informed on the new 2015 Jeep Renegade! Submit this form and our World Class Internet Department will add you to our Jeep Renegade watch list and keep you abreast on updates for pricing and availability dates including when you can swing in to check it out for yourself. With all that said: Enjoy the rest of the holiday season and Merry Christmas to you from our family to yours!